Why did I become Crazy Polish Guy? I’ll try to answer that. Ask anyone—I’m a history and social science nerd. I can tell you everything from what the Schmalkaldic League was, to the capital of Kosovo, to the year Charlemagne was crowned. Why do I know all this, and why do I care? I think my trips to Poland had a lot to do with it. When I visited Poland again in 2003 and 2005, I was in my early teens and could begin to appreciate Poland’s history and culture more. This time when I visited Krakow, instead of breaking down the door to see the Wawel Dragon, I was interested in seeing Wawel Castle itself. The castle has a high wall running along the hillside that always impressed me. I would imagine a medieval battle with attackers trying to storm the ramparts as arrows showered from above. As I walked through the iron gate, I would picture it closing as defenders were summoned to protect the king. 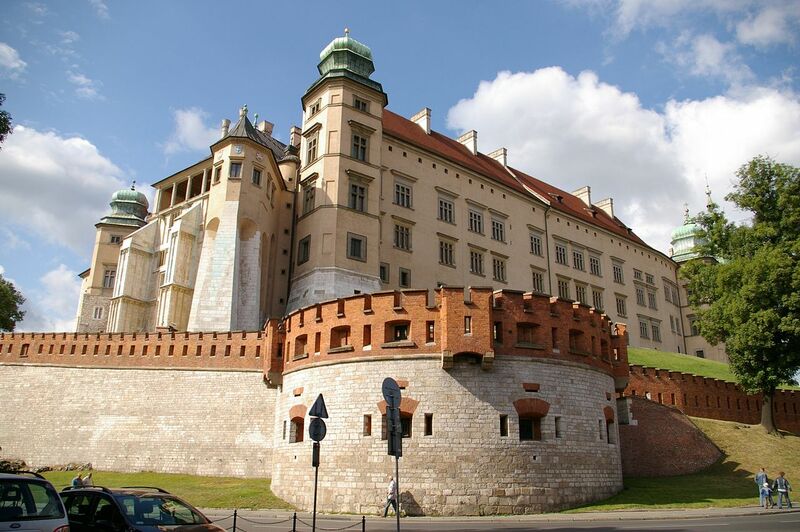 The high walls surrounding Wawel castle always sparked my imagination. Meanwhile, the cathedral’s bells would sound the hour and the distant “Hejnał” would be heard emanating from Saint Mary’s Basilica in the town square. Down below, the narrow, cobblestone streets traversing the city had their own charm. Centuries ago, merchants would have pushed their carts through these same quaint paths, and the Polish king himself would have taken this route when returning from a hunting trip or military foray. Just outside Krakow lies the ruined castle at Ogrodzieniec. Ruins particularly fascinate me because they symbolize a forgotten, “overgrown” past that speaks to the temporary nature of life. Everyone reading this is alive, and it seems like everything that happens to us is somehow important or special. But where will the memory of our existence be in 500 years? I’m sure the people who lived in that ruined castle when it was brand new felt just like we feel today—that now is the time to be alive. It’s sometimes easy to think that the world cannot exist without us and that life’s petty, day-to-day dramas are of grandiose importance. One look at the ruined castle at Ogrodzieniec, however, and your perspective changes. The ruins of Ogrodzieniec Castle. Krakow’s historical beauty is rivalled only by the natural beauty of the Tatra Mountains in southern Poland. 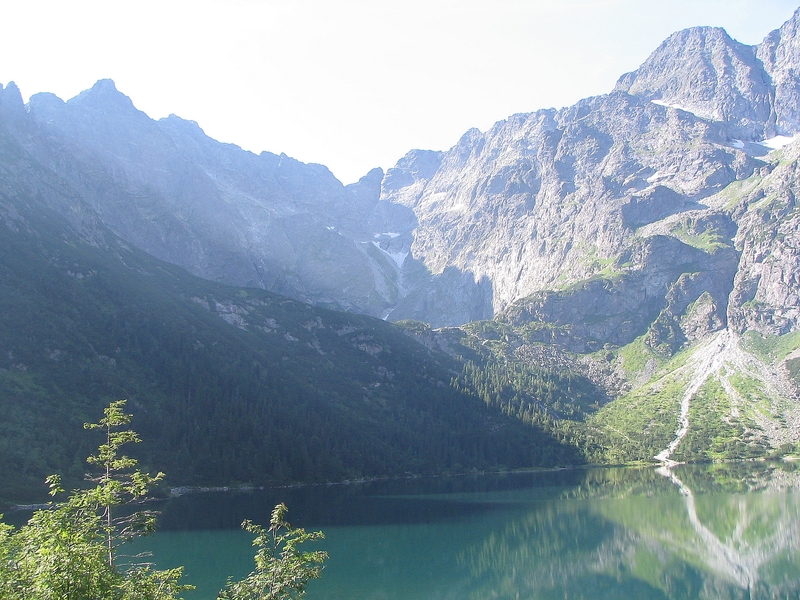 I had the great privilege to visit Zakopane, Poland’s premier mountain resort town. It is difficult to verbalize the excitement that filled me as we drove toward the mountains. First you see a dim mound of grey in the distance (You can actually see this vague outline from the top of Wawel Hill all the way in Krakow). A little closer and that dim mound begins to take shape. You begin to notice individual mounds next to each other. Then those mounds start to get big…really big…indescribably big for someone who has never seen mountains before. Pretty soon the mountains are right on top of you, and you become very small. Like the medieval city and castle ruins, the mountains instilled in me a romantic feeling of nostalgia. The Tatra have their own history, a history that dwarfs the lifespan of mankind and reaches back millions of years. The romantic poets found great inspiration in mountains and for good reason. Their sheer age and size bespeaks an immortality that man can only dream of. We will be gone, our children will be gone, our grandchildren will be gone—the mountains will remain. Poland’s historical and natural past seeped into the deepest recesses of my mind during those trips. The romantic longing for a bygone era sprouted in my soul and has been growing ever since. Stay tuned for the next installment of “The Diary of Crazy Polish Guy!” Click here to read! ….Ok, this was a very serious post, so I’ll add something funny to the end here! While I was in Zakopane, there was a Góral (mountaineer) strutting in the town square with a goat. We were videotaping everything so we thought, “Why not capture this Góral and his goat?” So we did, and I actually went up to pose with him. He was very friendly until we began to walk away, at which point he demanded money for being in our video, as if he was some kind of celebrity. We totally refused. Flustered, the angry Góral stomped away. ← The Diary of Crazy Polish Guy Part 2: Kittens and Pigeons and Dragons, Oh My!